EDA (Electronic Design Automation) tools are specially designed for electronic systems such as printed circuit boards and integrated circuits. We live in the golden age of free tools of electronic design automation. It was not so long ago that an engineering workstation was expensive equipment running a very expensive software and usually requiring annual fees. Now you can go to your local electronics store and buy a PC that would shame this old workstation and download a lot of software to design diagrams, simulate circuits, program devices and have circuit boards. Today, I wanted to briefly introduce a free EDA Web tool, EasyEDA. 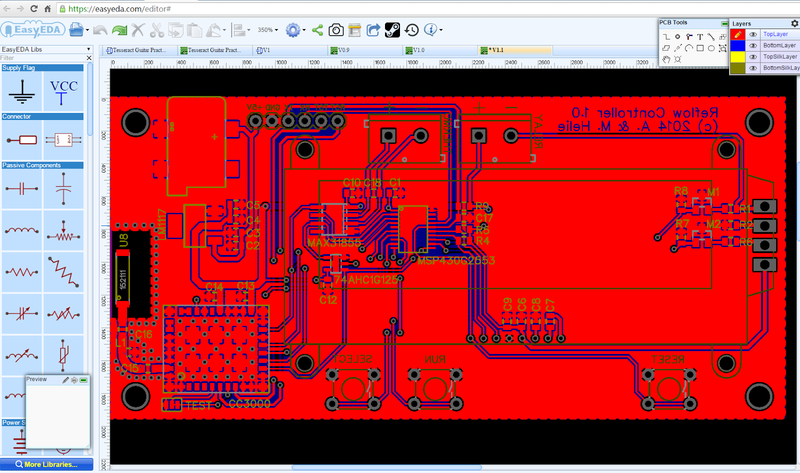 You can use EasyEDA to draw a drawing, fill a PCB and download manufacturing files (ie Gerber files). EasyEDA also offers a SPICE simulation function. Here are many advantages: EasyEDA is free and is also cloud-based. You can directly create your designs online, it is not necessary to install software. It can be used by any hardware and operating system, whether you use Linux, Mac or Windows. Chrome, Firefox, IE, Opera or Safari. The software is always up to date. You can use it anywhere and have access to your files. 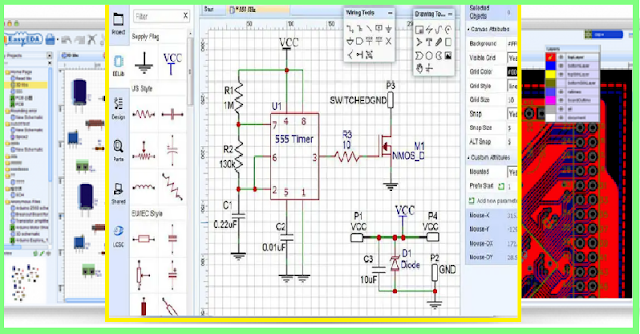 EasyEDA has been specially developed to provide electronic engineers, teachers, students and hobbyists with an easy-to-use and easy-to-use cloud-based EDA tool. EasyEDA provides users with exactly what their name says: an easier EDA experience. 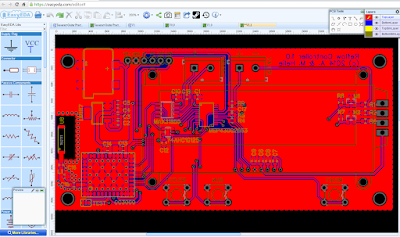 Open EasyEDA in any browser and start creating a new schematic or circuit board to test the tool online. Once you are done with the schematics, you can click on the PCB icon "Convert Project to PCB" and then organize the component. as required. Then you can generate and export the Gerber and BoM files, save or export your project (EasyEDA, PDF, svg or image only). It is also possible to order the circuit board via EasyEDA, which seems to be the only way to monetize the system. The following video briefly introduces how the EasyEDA tool works.